I’ve got butterflies and moths on the brain this week, what with the numbers I’m seeing here in Hancock County, Maine, the book I happen to be reading (Bernd Heinrich, Summer World, especially on insects of summer), and the project I’ll be tackling next week, involving mapping out phenology study for Kindergarteners and younger. You may have seen the story in the Boston Globe on August 13 about how monarch butterflies have been hard to find at Mass Audubon’s Boston Nature Center. Monarchs may be our most popular and well-known insects, and this is the time of year when we should be seeing their familiar orange and black wings over gardens. But observers all across the state say they’re spotting very few of them. Is this a sign that monarchs everywhere are in trouble? And if so, why? The answers to these questions aren’t as simple as you may think. The number of monarch butterflies in Massachusetts fluctuates from year to year, and when the insects are scant here, they may be numerous elsewhere. We have to be careful about using our local sightings to talk about the overall health of the species. However, we do know that observers in nearby areas, such as eastern Canada, Vermont, and New Jersey, are also reporting low monarch numbers this year—what we’re observing here may be part of a larger pattern. Perhaps most alarmingly, the monarch population hit a record low at its overwintering sites in Mexico, down 59 percent from the previous year’s December count—and researchers have documented declines there in six out of the past seven years. I’ve sighted no monarchs here, yet. Rather, an abundance of red admirals, white admirals, and what could be a silver spangled fritillary. 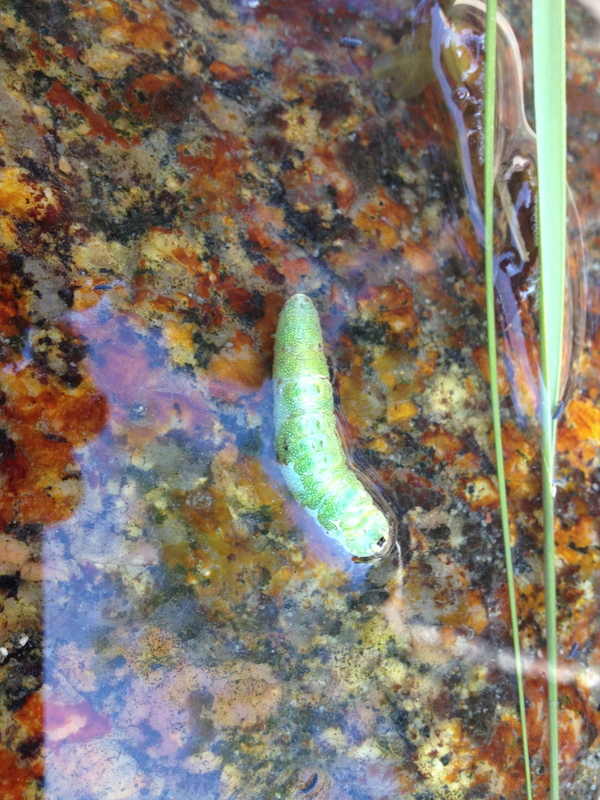 In our tidepool explorations, we also found a floating caterpillar. 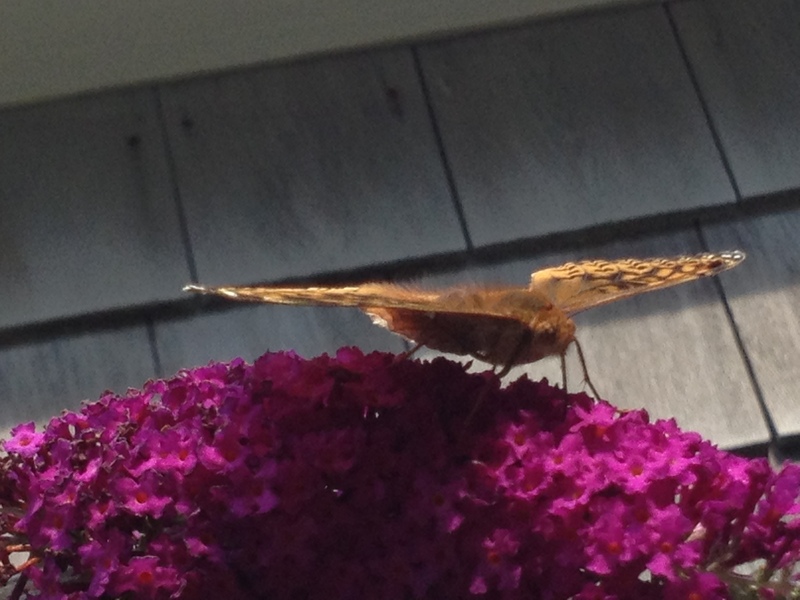 Categories: Wildlife | Tags: butterflies, ecology, Maine, migration, monarchs, phenology | Permalink.